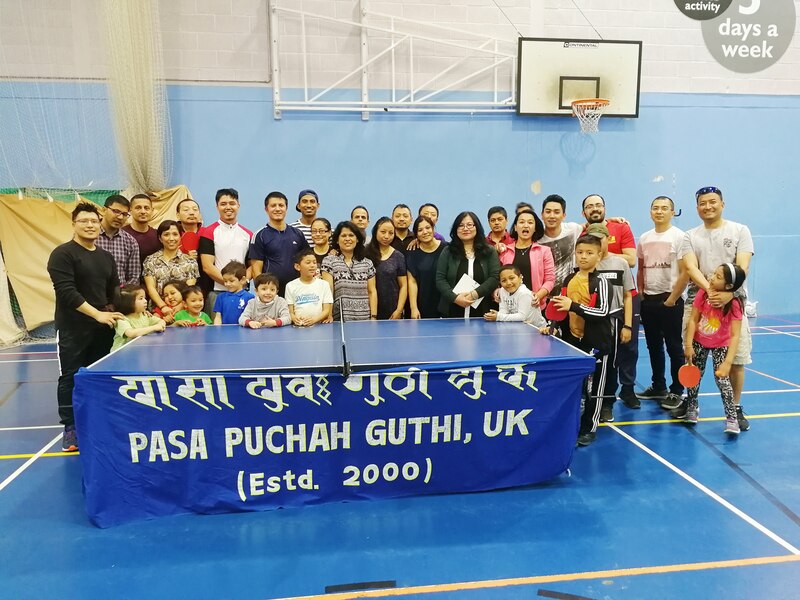 On the occasion of 2nd World Newah Day, 35 enthusiastic members of Pasa Puchah Guthi UK London turned up for the organisation’s annual sports event. 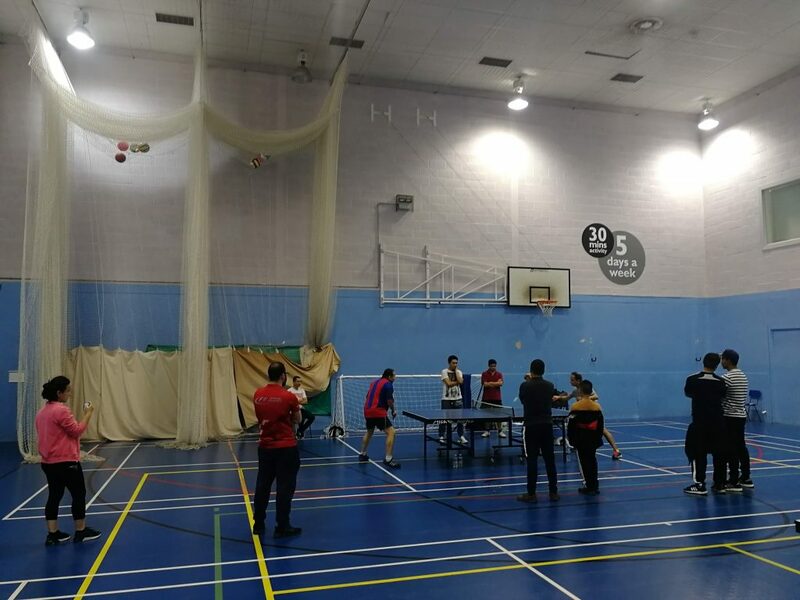 20 men and women played table tennis while they were cheered by others in audience. Milesh Joshi, Purna Lama, Enoki Dali, Sandeep Shrestha, Satya Prajapati, Rupak Panta, Arvinda Karki, Nilesh Singh Dangol, Ojesh Singh, Yadu Aryal, Ambar Rai, Sagar Joshi, Durga Adhikari, Ananda Shrestha and Shashidhar Mananadhar played in Men’s singles, while Kritishre Pradhan, Reema Shakya, Sameepa Shrestha and Nikki Shakya played in Women’s singles. Therewas also Men’s Doubles played by Yadu Aryal, Durga Aryal, Sagar Joshi, Milesh Joshi, Arvinda Karki, Sandeep Shrestha, Satya Prajapati and Ambar Rai. In the Men’s singles, Purna Lama emerged as winner while Durga Aryal was the runner-up. In Women’s singles, Nikki Shakya was the winner while Reema Shakya was the runner-up. In the Men’s doubles, Durga Aryal and Yadu aryal were the winners, while Arvinda Karki and Sandeep Shrestha were the runners-up. Founding member Shashidhar Manandhar presenting the Guthi bat to winner Purna Rai. Executive members Rukmani Manandhar and Sabita Manandhar, volunteers Rita Devi Singh Dangol and Rashmita Darlami offered lunch to all players and audiences. Volunteers Kritishre Pradhan and Sameepa Shrestha prepared tea for all. 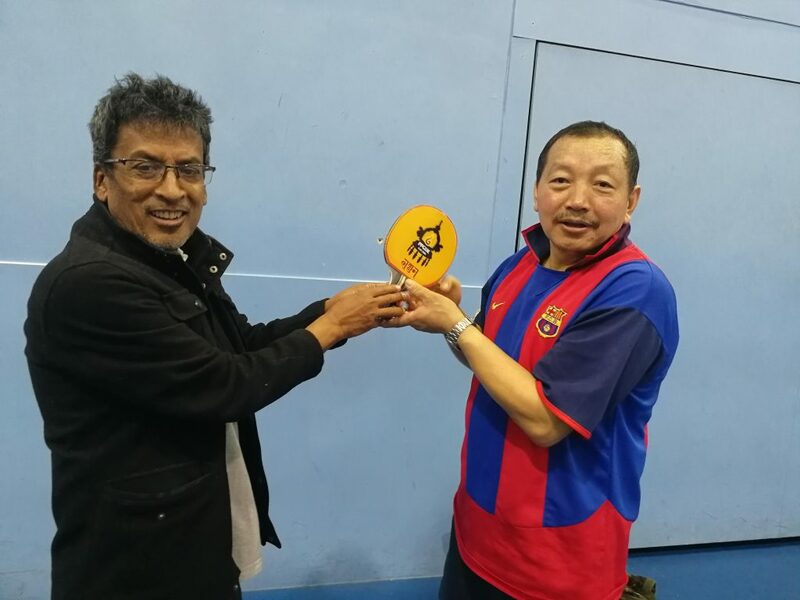 Culture Secretary of PPGUK Southeast London, Satya Prasad Prajapati and their former culture Secretary Ashok Awal presented traditional Newah music before the final rounds, while Ashok Awal also umpired the games. 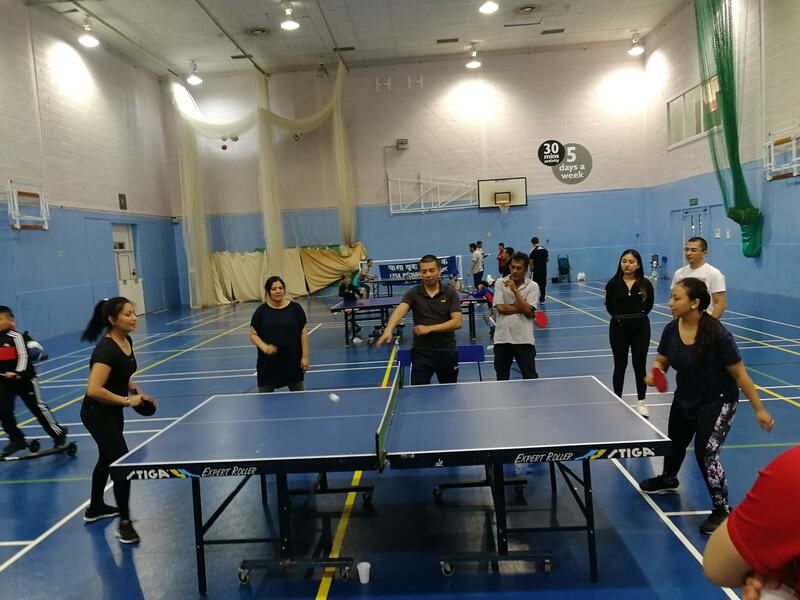 The event was conducted by PPGUK London Sports secretary Summet Bajracharya and General secretary Sandeep Shrestha.